Looking for a fun new recipe to try out for breakfast? Chiles rellenos are packed with a whole lot of flavor, and they’re fairly easy to prepare. If you happen to have any fans of spicy foods in your family, then they’ll enjoy this one, as the recipe calls for three whole green chiles. The recipe makes 12 servings, and it should take less than an hour to assemble, prepare, and cook everything. The great thing about chiles rellenos is that they work well for just about any meal: serve them up for breakfast, lunch, or even dinner! After cooking these chiles rellenos, please feel free to share the recipe with your friends and family on Facebook, Pinterest and Twitter. We can’t wait to hear what your loved ones have to say! Our chiles rellenos recipe is easy to follow, but do keep in mind that there is a great deal of preparation involved. In order to get started, you’ll need to assemble two packages of corn muffin mix, six slices of white bread, 12 ounces of turkey (or if you prefer, you can go with pork bulk sausage), some chopped onion, frozen corn, cumin, oregano, garlic powder, three cans of whole green chiles, black beans, Cabot Sharp Lite50 Cheddar, Cabot Salted Butter, King Arthur unbleached all-purpose flour, two-percent milk, salt, black pepper, and cilantro. Also, we happen to be pretty big fans of really spicy chiles rellenos, so if the chiles aren’t spicy enough for you, go ahead and add in a dash of hot sauce or some chili powder to crank up that spicy factor. 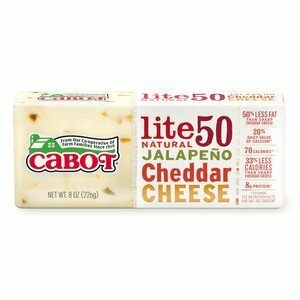 Cabot is a cooperative of 800 farm families, and we work hard every day to produce our award-winning dairy products. We’re confident that our chiles rellenos recipe will be a hit with your family—since it features one of our most popular cheddar cheeses, of course—but we want to make sure that it’s up to our high standards. We’d love it if you could rate and review the recipe after you’ve made it. If we can improve it in anyway, please let us know. Lastly, if you enjoy Latin dishes, then we recommend that you try our recipe for a breakfast quesadilla with Jalapeño Lite50 Cheddar. We hope you enjoy these chiles rellenos! MAKE corn muffins according to package directions; let cool. Crumble muffins into large bowl and stir in bread cubes; set aside. COMBINE sausage, onion and corn in large skillet over medium-high heat; cook until sausage is browned, about 5 minutes, breaking it up with spoon. Drain well. Stir in cumin, oregano and garlic powder. Add sausage mixture to cornbread mixture, tossing to blend. 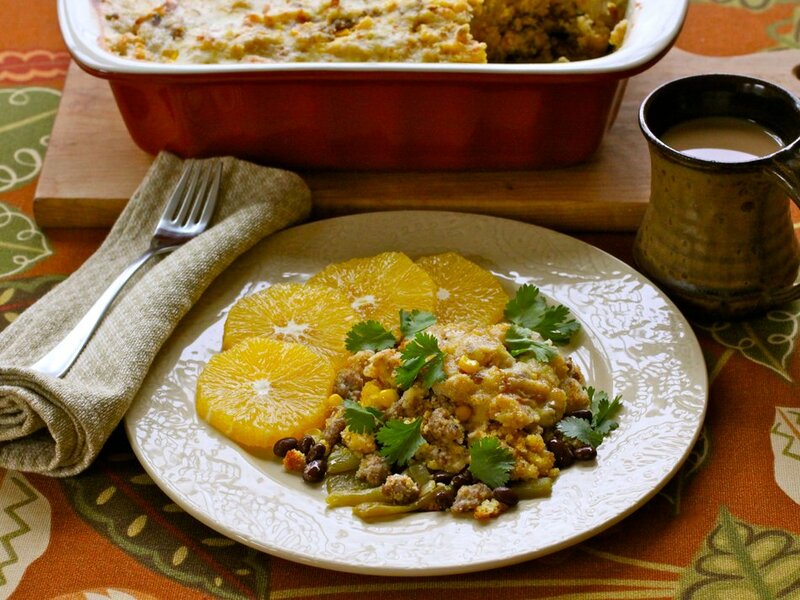 COAT 13-by-9-inch baking dish with cooking spray and arrange chiles in dish. Top with beans and half of cheese. Spoon cornbread mixture evenly over cheese and set aside. MELT butter in large saucepan over medium-low heat. Add flour and whisk until blended. Gradually whisk in milk and cook, stirring constantly, until slightly thickened and bubbly. Stir in remaining cheese, salt and pepper. Slowly pour milk mixture over cornbread mixture. BAKE for 25 minutes, or until thoroughly heated. Let stand for 10 minutes before serving. Sprinkle with cilantro.